If you know about the Android phone then you would know that Nexus Phones are the benchmark for the next generations of the Android phone and recently Techhog.com has shared a picture of possibly the next generation of Nexus device. And according to them this phone will have Android Ice Cream Sandwich in it which is supposed to be the next generation Android OS for smartphones. Now that the news is confirmed that the largest cell phone makers in the world will make Windows Phone devices so everybody is waiting to see their first device which is expected early next year. But there are chances that Nokia may launch Windows Phone devices earlier than expected may be sometime this year. A number of people want to earn income online and for this purpose they establish some websites on the internet. However, for making their sites live on net they have to hire a web hosting company which is responsible for hosting the site on internet. However, this company lets a person to pick one operating system -on which you desire to host his site- from the two main types; one is Windows web hosting and second is Linux web hosting. Some people have not any idea about these operating systems and therefore they find it difficult to choose one that is perfectly suitable for them. For such people , here are some points which let them to get complete understanding of both operating systems. 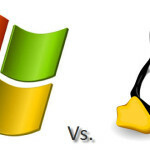 Additionally, these points help them a lot whenever they are going to differentiate Windows and Linux Operating systems. Sony one of the biggest gaming console makers who make PlayStation 3 have recently started an awesome promotion as they have announced a 160GB version of PlayStation 3 with which you would also get a free Call of Duty Black Ops.I am sure you guys know about that but just to mention Call of Duty Black Ops was the best shooting game of 2010 and if you do not have PlayStation then this is the best time to buy one. Yesterday Microsoft announced the Windows Phone Mango update which will have amazing new features which really make us excited.And I think because of this update you will see some awesome apps coming in the near future. Lots of key features were missing from the firtst version of Windows Phone and looks like Mango update will cover that now. Currently the slimmest powerful laptops in the market are MacBook Air and other one is Samsung series 9 which is little bit more power than MacBook Air. And now Dell is ready to announce their version of ultra slim powerful laptop which would compete against MacBook Air. Since the launch Windows Phone 7 many developers and also smartphone users has felt that there are many features which are not available in Windows Phone 7 compared to other smartphone like iOS and Android. And with an update of Windows Phone on its way it is expected that it would have many features which were missing in it. Many big companies are already in the tablet war but I think for a long time iPad will be the most popular one but still other companies will have some impact. So , surprisingly Fujitsu is looking to make its impact in the tablet market and according to a report by DigiTimes they will launch their Android tablet till the end of this year may be in third quarter. Rumors about the deal between Microsoft and Nokia were in the Air for several months but a month ago it was confirmed that Nokia will make Windows Phone devices. And about that is further news is that Nokia will launch 12 Windows Phone devise in 2012 and it is now discovered that few of those devices would have dual core processors.